Adjustable arm moves up or down 5 positions (1” increments each). Supports monitors up to 20 lbs. Easy to mount; clamps to surfaces up to 2 ½” thick (2” desk overhang required) or mounts in grommet hole. 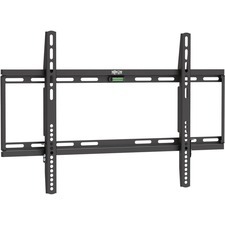 Includes cord management system; VESA compliant. Clamps to surfaces or mounts in grommet hole. Space-saving Fellowes® Designer Suites™ Flat Panel Monitor Arm elevates monitors to comfortable viewing height to prevent neck strain. 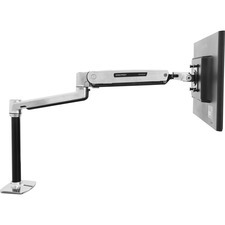 Easy to mount – two piece clamp mounts monitor between desk and cubicle wall. 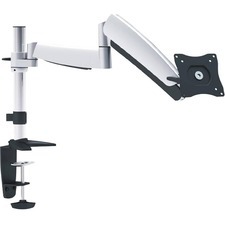 Height adjustable arm moves up or down to five positions (1” increments each). 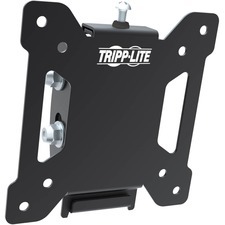 Supports monitors up to 20 lbs. 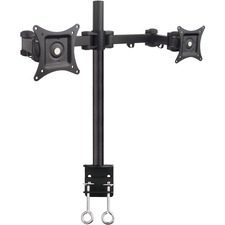 Tilts up or down +/- 45°, pivots left to right 180°, and allows 360° screen rotation. Clamps to surfaces up to 2 ½” thick (2” desk overhang required) or mounts in grommet hole. Includes cord management system. VESA compliant. Mounting: Clamp/Grommet; Depth: 14 1/2"; Width: 4 3/4"; Arm Rotation: 180°. 10 1/2" to 14 1/2"